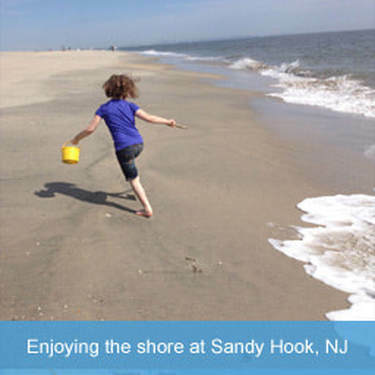 New Jersey’s coastline stretches 127 miles from Sandy Hook in the north to Cape May in the south. While the coast is home to more than fifty towns and cities, the waters just offshore are teeming with a wide variety of marine life. Coastal waters, which stretch from inland rivers and bays out to the edge of the continental shelf, are among the most biologically productive areas of the world. While these waters are only about 10 percent of the ocean’s surface area, they contain almost half of all the microscopic plants in the seas. Humans aren’t the only mammals that enjoy New Jersey’s Atlantic coastline. 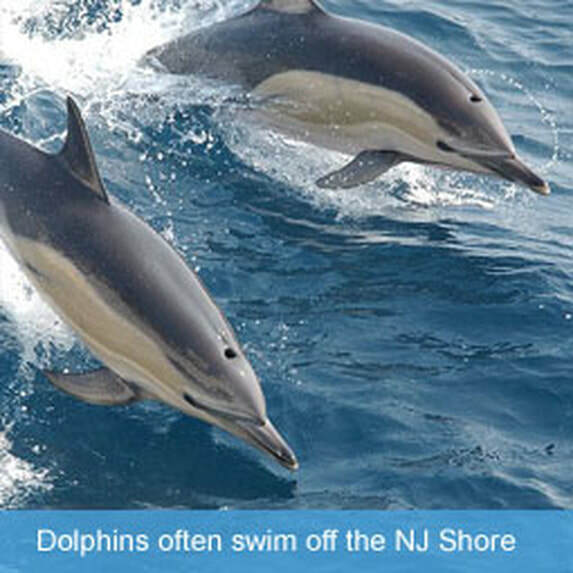 ​A wide variety of marine mammals visit the New Jersey shore year round. 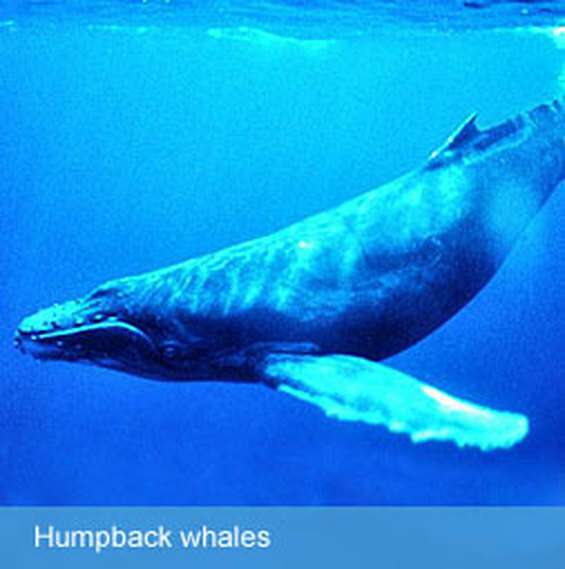 The best time to see humpback, fin, and right whales along the New Jersey coastline is in the fall. 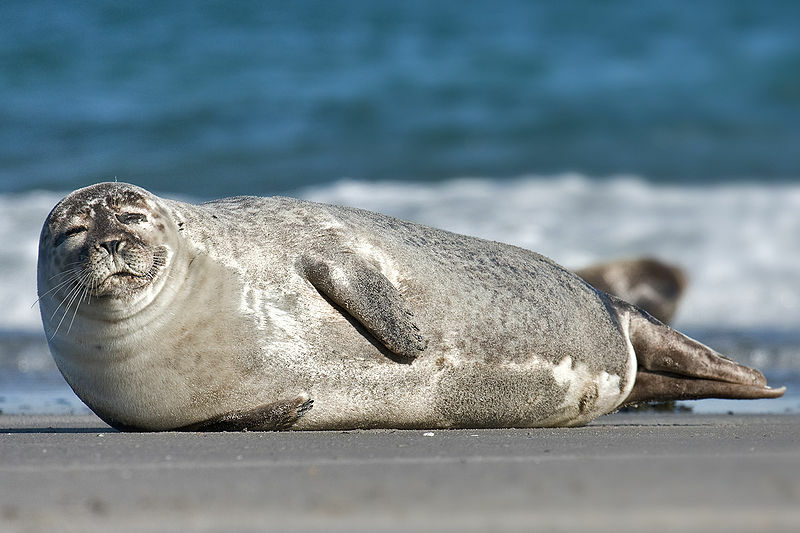 Harbor, harp and grey seals are mostly commonly found along Barnegat Bay and New Jersey's northern coastline. Populations from Maine and Eastern Canada often spend their winter months along the Jersey shore! In the summer, dolphins are often seen frolicking along the New Jersey shore, particularly to the south near Cape May. The Hudson-Raritan Estuary is where the Hudson, Hackensack, Passaic, Rahway, and Raritan rivers come together and mix with the Atlantic Ocean. The Hudson-Raritan Estuary contains one of the best natural harbors in the world and is home to the Port of New York and New Jersey, the third busiest in the United States. While serving the New York metropolitan area, most of the port facilities are in New Jersey, making it a key economic contributor to the Garden State. The Hudson-Raritan Estuary is also heavily polluted. Lax pollution laws in the late 19th and early 20th century and nearly constant ship traffic have significantly impacted the area. The Hudson - Raritan Estuary is one of the busiest ports in the US. Just one oyster can filter 50 gallons of water per day, explains the NY/NY Baykeepers, which is leading efforts to return oysters to the bay by creating sustainable habitat in order to monitor and improve the health of the estuary’s eco-system. Oysters are a keystone species and are important to the survival of the estuary ecosystem as a whole. They provide an important food source and habitat for many other creatures. 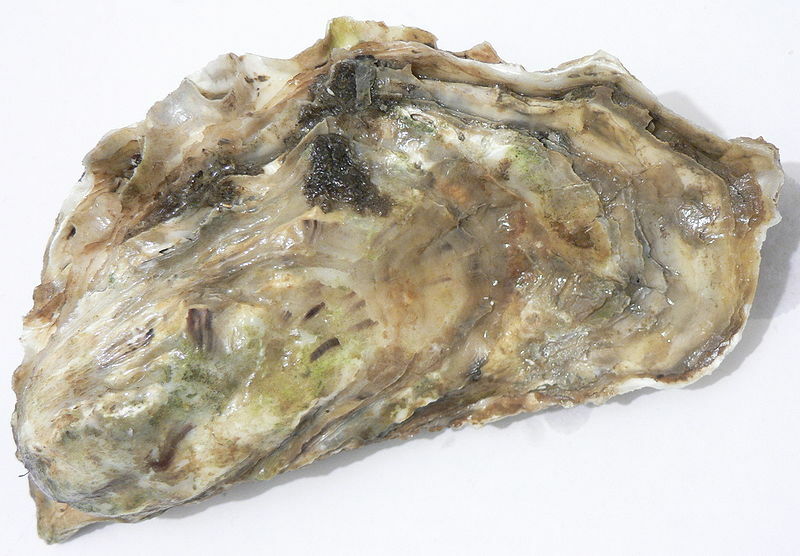 Oysters also act as a natural filtration system for polluted water by straining nutrients from water as they feed. Oyster reefs were once plentiful in the Hudson-Raritan Estuary. Unfortunately, due to their popularity as a food source and the use of their shells for building materials and chicken feed, the oyster population was greatly reduced by the end of the 19th century. Intense pollution in the area during the early 20th century also contaminated the oysters, creating a public health problem. 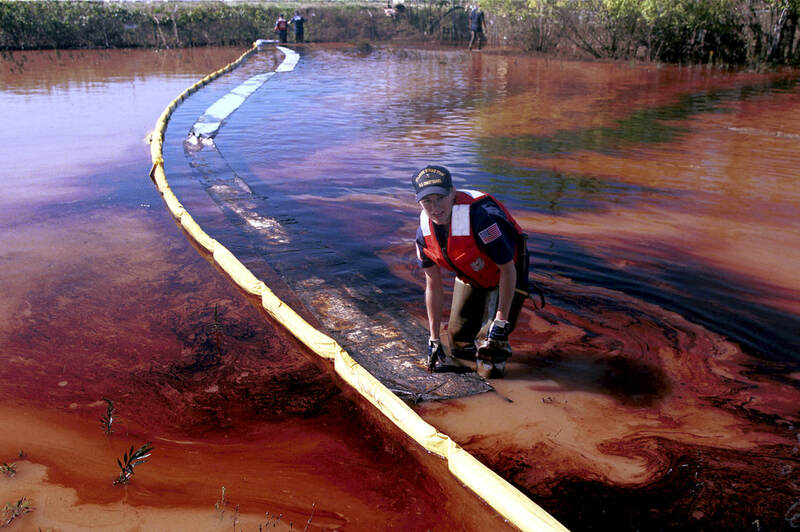 In January, 1990, a pipe from the Exxon oil refinery began leaking into the Arthur Kill, spilling approximately 567,000 gallons of oil. 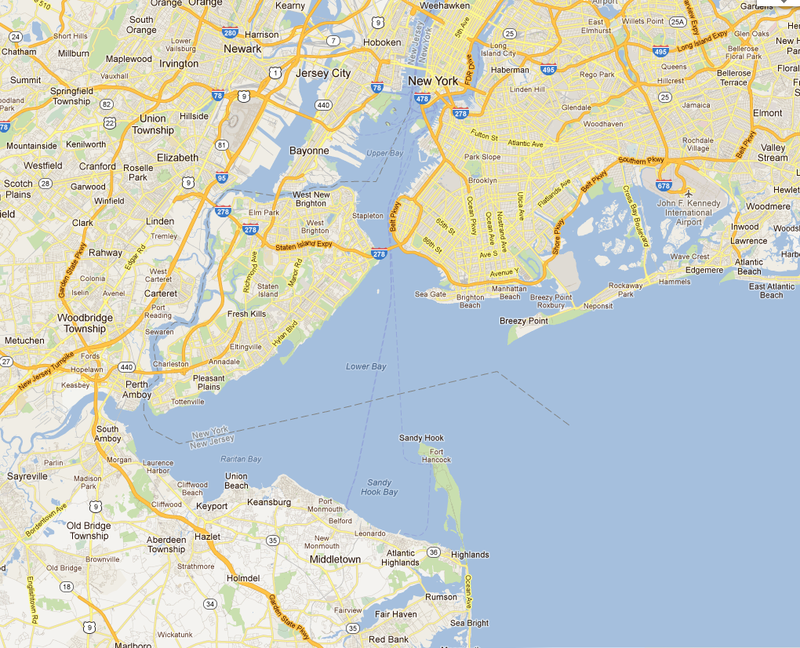 The Arthur Kill is a tidal strait separating Staten Island from mainland New Jersey. It is a major navigational channel, and thousands of oil tankers pass through it each year. The immediate casualty list included thousands of fish and crabs and more than 700 birds. The oil spill was particularly damaging for birds like snowy egrets and glossy ibises, which could no longer dine on the crabs devastated by the massive oil spill. Several years before the spill, a group of biologists had begun studying the Arthur Kill habitat closely. When the spill happened, it provided these scientists with the unique opportunity to research the spill’s impact, since they had an area that was studied closely before and after a major oil spill. These violations are likely just the tip of the iceberg when it comes to the illegal dumping of oil from ships. 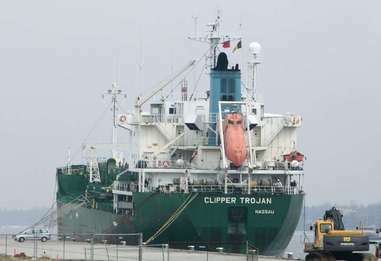 In June, 2006, US Coast Guard inspectors discovered a false oil record book aboard the Clipper Trojan Tanker in the port of Newark, New Jersey. The false record book concealed the fact that the ship had been dumping oily sludge and oiled bilge water into the sea in violation of both US and international laws. In June, 2008, the Danish shipping company Clipper Marine Services pled guilty to the violations and was ordered to pay a $3.25 million fine. The ship’s chief engineer was sentenced to five months in prison. The company was also made to outfit its ships with state-of-the-art oily water separators and implement a new discharge monitoring system in five vessels. Clipper Marine Services also paid $1.5 million for the protection, study, and restoration of marine resources in New Jersey. 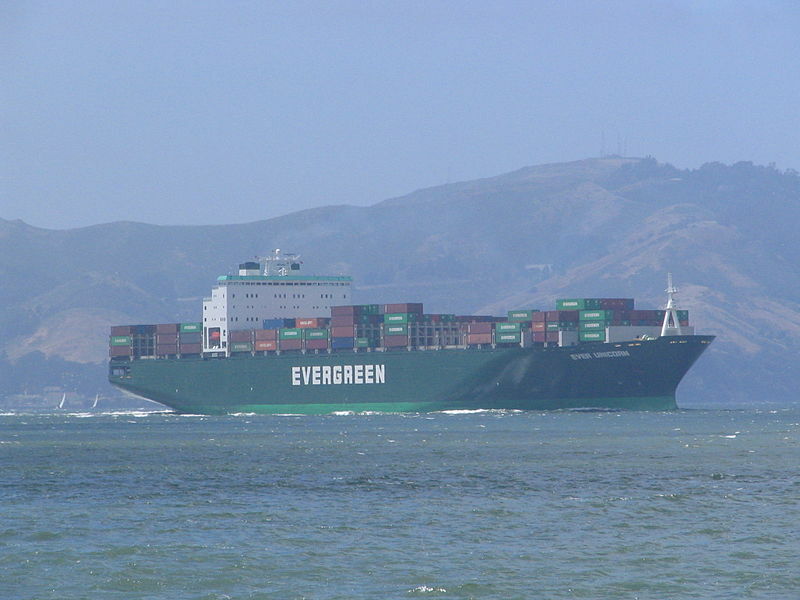 Evergreen’s environmental crimes were discovered in March, 2001, when a team of US Coast Guard officials traced a 500 gallon spill in the Columbia River to the Ever Group, one of the cargo ships in Evergreen’s fleet. 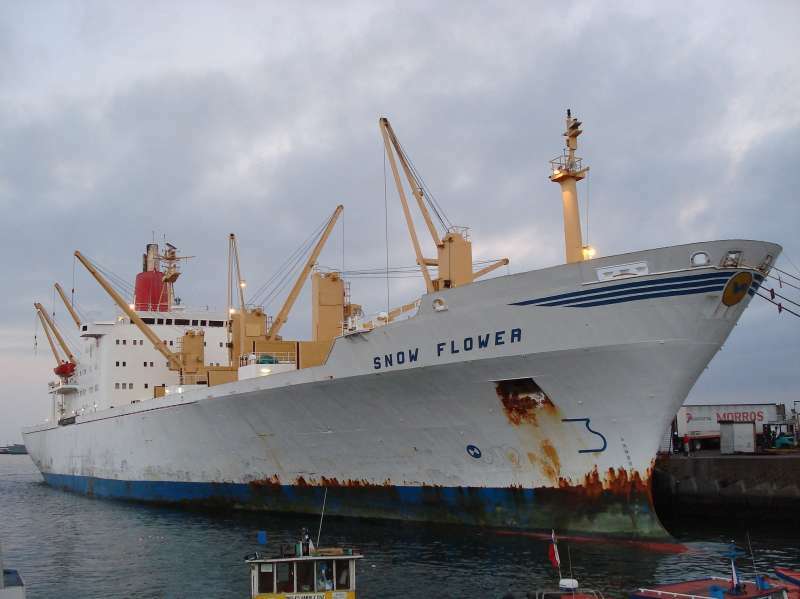 Several months later, when an illegal discharge pipe was discovered on the Ever Given, another ship owned by the company, it kicked off a mass investigation of Evergreen vessels in Los Angeles, CA; Newark, NJ; Portland, OR; Seattle, WA; and Charleston, SC. Evergreen International paid a fine of $25 million in 2001 for deliberate vessel pollution and admitted that at least seven company ships had dumped oily waste in US waters, and its employees had falsified records and lied to Coast Guard officials. In March, 2009, Holy House Shipping AB was ordered to pay a one million dollar fine and a $400,000 payment to the National Fish and Wildlife Foundation for dumping oily waste and concealing the illegal discharges. The chief engineer was sentenced to probation and paid a fine of $8,000.